Kevin Hart is an experienced sommelier and decorated student of the vine. He worked the floor at Boca for seven years, eventually becoming the sommelier and general manager. Alongside Chef David Falk, he developed his palate for pairing food and wine. He deepened his knowledge of French wines while working with Mobil Four-Star Chef Jean-Robert de Cavel. His stint as sommelier at Pigall’s, a Relais & Chateaux restaurant, impressed upon him the importance of classic styles in the kitchen and in the bottle. After years in the restaurant world, he felt the time was right to take his career to the next level by leveraging his friendships with top wine producers, connoisseurs, and obsessives. In 2012, Kevin teamed up with his mentor, Gordon Hue, to grow wineCRAFT, an importing-distributing company based in Cincinnati. The success of wineCRAFT led Kevin to return to Boca Restaurant Group as Beverage Director, giving him a broader platform to express his point of view on quality-crafted wines and the honest farmers behind the bottles. 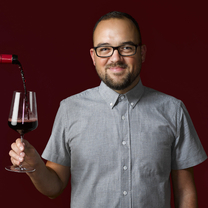 In 2015, Hart’s entrepreneurial spirit surfaced and he launched HART & CRU to focus on bringing wine education, product selection and market expansion to an array of corporate clients, as well as concierge services—such as tastings, private events, and cellar management—to his private clientele. A few friends and a few bottles later. "A few friends and a few bottles later @sartreotr . . . #gevreychambertin"
"Welcome to the neighborhood, @sacredbeastdiner! The burger and Beaujolais were amazing but these deviled eggs stole the show. Congratulations to the entire Lieb family - here's to many more days and nights at the diner. . . . #deviledeggs"
"I’m at @hartandcru . . . #baroloking"
"Drinking with the Cru at @8th_and_english : Blancs holding strong. . . . @thesortingtable"
"Paella over wood with the wines of Clos Figueras from Priorat. STARTING NOW. Come to DUTCH'S to taste. @phague is a bada$$. . . . @annecannan . . . #jointhecru"
"Paella over wood with the wines of Clos Figueras from Priorat. STARTING NOW. Come to DUTCH'S to taste. . . . . @annecannan . . . #jointhecru"
"I will always champion producers and @elvwines . . . #oregonwine"
"@domainelamy your wines truly blow my mind. Such purity and elegance 👌🏼. . Need White Burgundy? This is a producer not to be missed. Message me for allocations. . #chardonnayfordays"
"Excited to connect this 1990 Gaja gem with a client seeking old Italian classics for his cellar . . . #rarewine"
Unicorn Tuscan wine: Le Pergole Torte, Montevertine. "Allocation in for anyone looking for some Unicorn Tuscan wine. Pergole Torte, Montevertine, reaches its Olympian heights of expressiveness not via technological trickery but through impeccable vineyard management and natural, low-intervention cellar work. A icon of what sangiovese can and should be. . . DM me if you need some bottles . . . #unicornjuice"
"Mugneret-Gibourg headed to a clients cellar. Always hard to let these bottles go as the wines are 👌🏼 but I know they will be loved. #curatedcellarbyhartandcru #mugneretgibourg"
"What Sundays are for 🙏 . . #champagnesundays"